Kitchen Gadget to the entry number corresponding to total passing yards-560 (I may have been overly optimistic on the number of entries here) we will drop the 0 and that leaves us with 56 Susan from ZentMrs and the Mr. Please place the button or link up on your site. Visit at least three other entries. Come back Sunday after the game to see who won. Be sure to come back on Monday and join our brand new weekly party. What fun and just in time for the big game. I added your button to my Free Super Bowl Cupcake Toppers. I also linked Pumpkin Chili, and while you would not necessarily serve it in a pumpkin for the big game…it is DELISH! I so want to eat those nachos **RIGHT NOW**!! Still haven’t decided what I am serving for our party! I grabbed your button and placed it in my sidebar!!! I am looking forward to this!! Thank you so so much for hosting this fun party! What a great party idea! Thanks for the invite! Hi, thanks so much for inviting me to join your Super Bowl and Chili Party link-up! Everything looks big game worthy, glad to be part of it. Thank you for the invitations…I don’t have any chili recipes but thought my turkey and avocado panini would work perfect for super bowl… Will look for some more recipes that I think would work. I just love a great Chili and Superbowl Party, everything looks awesome. Hope you are having a great week and thank you so much for inviting me to your awesome party! Thanks for the invite to link up! Also, thanks for hosting such a fun party! Great idea for the party link up! I will be back to link some fun things up! Thanks for sharing at Show Me Your Plaid Monday’s! Thanks Linda, for sharing your party with us at Hearth & Soul Hop — Hope it is a huge success for you. Just dropping in to add another Super Bowl dish!! Thank you for stopping by my way and for hosting this delicious Super Bowl party! Wow! I know just where to come when I need snack ideas! Thanks so much for linking up at One Creative Weekend on OneCreativeMommy.com! I am loving the new look over here!! Nice! Thanks for sharing this party at Foodtastic Friday!! Happy Superbowl! What a fun party! 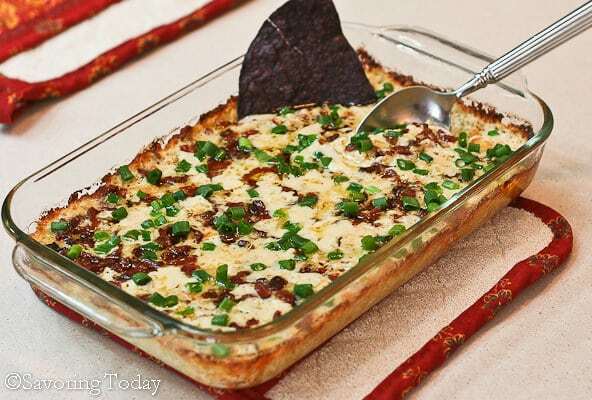 I am sharing my Chili and Queso Dip today! Thanks so much for hosting!!! I sure did have a good time at your party, lots of really good food! Have a great week and thank you so much for sharing your awesome recipes with Full Plate Thursday. Pingback: Who needs PF Changs?